This gorgeous yarn by little red bicycle almost makes me want to go back to knitting. I saw this great tutorial for revamping some old boots from Crafting in the Rain on blogher.com yesterday. She turned some boring old black boots into cute new stylish boots with some 3$ duct tape! Here’s an excellent article about the Do’s and Don’ts of selling on Etsy from Cath Young (of My Bearded Pigeon) on Epherielle Designs. 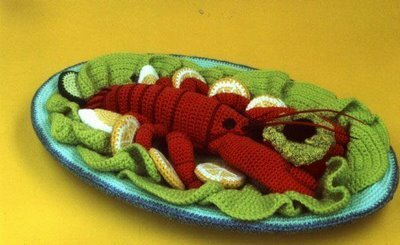 I came across this post of pictures of knitted food on mdolla. I really wish the pictures were linked to the sources! Even so it’s a great gallery to look through for inspiration. These portraits painted on crushed cans are by Kim Alsbrooks. 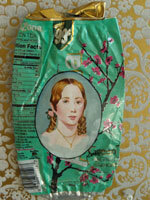 I love the delicate and old fashioned portraits painted on trash. the series is appropriately titled “White Trash”. You can check out her amazing murals here. go check out cargoh if you want to browse the work of great independent artists and designers. They do a great job of bringing the newest and best the indie scene has to offer. 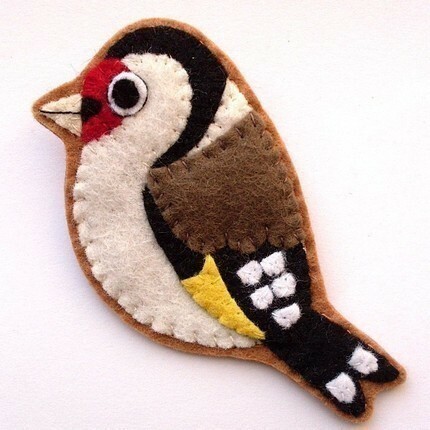 These beautiful and detailed felt brooches are created by Lupin Handmade. you can check out her shop here, her blog here and she also has a book that looks great called super-cute felt. Victory patterns has some lovely patterns and you can download them. Yay for instant gratification! You can look through flickr to see other people’s Victory Patterns creations. Tutorial for creating your own bokeh (blur) filters. Here’s another post from DIYphotography.net that talks about other ways to create this effect. Make doily napkins out of paper napkins with a paper punch. 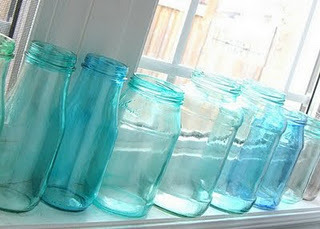 this is a simple and cute and would be cute for a kids tea party! This is about the creepiest thing I have ever seen. The eyeholes are horrible and look like there are things crawling out of it and it’s like there’s some creepy stranger on the other side of the shower. How about Orange has posted a great tutorial for making a little box out of paint chips. This would be cute for party favors! Dashing Fox print by Charlie Corrigan on Etsy. Crunchy Betty gives us a tutorial for transferring our images to tiles! very cute and a similar process to the wood transfer I posted a while back.